Toronto estate lawyer Charles Ticker can assist you with estate law matters and estate litigation disputes. Call Charles Ticker at 1-866-677-7746 for a consultation. 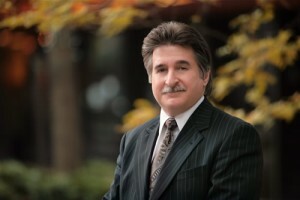 Charles Ticker is an experienced Toronto estate lawyer who has been involved in various complicated estate litigation disputes over his career. It is very important to retain an estate lawyer if you are facing an estate litigation dispute. As a Toronto estate lawyer, Charles will explain the estate litigation process to you in detail. His experience in estate law and estate mediation has allowed him to come up with creative and unique solutions for clients with all kinds of issues such as dependant support claims, contesting a will, (for various reasons such as: improper execution, lack of knowledge, lack of testamentary capacity), power of attorney litigation, and substitute decision maker disputes. Estate litigation is a complicated area of law and estate dispute can result in significant legal costs and emotional trauma to all the parties involved. It is therefore important to retain the services of an estate lawyer who will inform you of the various pitfalls and dangers along the way in a manner that will reduce costs and achieve cost-efficient results. In addition to being an estate lawyer with over 35 years of experience, Charles is an experienced estate mediator who is intimately familiar with the estate mediation process. It is important to hire an estate lawyer who is also a mediator because estate mediation is mandatory in several parts of Ontario. Rule 24.1 of the Rules of Civil Procedure states that all estate disputes in Toronto must be mediated. Estate mediation allows the parties to an estate dispute to mediate the issues and hopefully reach an expeditious and cost-efficient solution. Toronto estate lawyer Charles Ticker can assist you with any estate litigation matters you may encounter. The information on this website is not legal advice. It is for informative purposes only. Contacting us through the website, email, or telephone does not mean you have retained a lawyer. To book a consultation, call Charles at: 1-866-677-7746.